Associate Professor, Operations Management and Information Technology Department, HEC Paris. Renewable energy (RE) technologies are receiving increasing attention in the Gulf region, showcasing the gas- and oil-rich GCC countries’ willingness to lead the way towards sustainable energy solutions. There is, indeed, a strong strategic and economic case for renewable energy technologies in the region. Developing renewables would help GCC countries hedge against the risk of a reduction in their hydrocarbon export potential and the associated foreign exchange revenues: it is increasingly evident that if current consumption patterns were to remain the same, most GCC countries would become net energy importers in the near future. Furthermore, renewables offer these countries the possibility to diversify their economies, increase energy security and, most importantly, create new business opportunities to support one of the world’s fastest growing sectors. Although the level of RE diffusion in the region remains relatively low, most GCC countries are pursuing aggressive RE development strategies that include both actions to stimulate internal demand and, also, initiatives to facilitate the development of local technology producers able to compete in the global market for renewable technologies. Several recent initiatives testify this commitment. For instance, the UAE’s Masdar Clean Energy has ventured with other international players to develop the world’s largest offshore wind farm (the London Array, with 630 MW capacity), the Dudgeon offshore wind farm (402 MW), and the Gemasolar 20 MW CSP plant in Seville. Masdar is also one of three major investors in the Middle East’s first utility-scale wind power project in Jordan, the 117 MW Tafila Wind Farm. eSaudi Arabia’s ACWA Power is developing the world’s largest solar CSP plant in Ouarzazate, Morocco. At the domestic level, some large-scale renewable energy projects are under construction and more have been announced, thus making the GCC region an important hub for renewable energy business. Large scale RE projects, such as Shams 1 (100 MW CSP in Abu Dhabi), or the Mohammed bin Rashid El Maktoum Solar Park in Dubai (currently 13 MW of solar PV, to grow up to 1 GW by 2019) are being developed, while plans for massive uptake of RE also are underway. On the technology supply side, in October 2014, Spain’s Gestamp Solar signed a US$28 million contract with Kuwait Oil Company to build the first utility-scale PV plant in Kuwait: the 10 MW Umm Gudair Field solar plant is scheduled to be completed by the middle of 2015. In a similar vein, the Sultanate of Oman is developing the largest wind farm in the Gulf States region. The $125 million, 50 MW project is a joint development between Masdar and Oman’s Rural Areas Electricity Company (RAECO). In Qatar, several renewable energy projects have been announced among which is the construction of a testing facility of about 35,000m2 for all types of solar technology. A polycrystalline silicon production facility was also inaugurated in December 2012 by Qatar Solar Technologies (QSTec). Big potential is also offered by CSP-powered desalination plants, which represent a lucrative opportunity given the massive amount of seawater that must be desalinated in the region every day. Despite these encouraging signs, the diffusion of RE systems in GCC countries requires further support to reach the level deemed necessary to curb CO2 emissions. Examples from other developed countries, particularly in Europe, demonstrate that supporting renewables is not a simple task; implementing the wrong type of incentives may hamper the industry instead of helping it. Thus, the question of whether and how public policies can accelerate RE development assumes particular relevance, especially if GCC countries do not want to repeat mistakes made elsewhere. Should RE Diffusion Be Supported, And How? The research group on renewables energies at HEC Paris, which I co-lead together with my colleague Sam Aflaki, is engaged in a number of projects to identify strategies to accelerate the market diffusion of sustainable energy technologies. Our work, funded by the Qatar National Research Fund through the NPRP grants n. 5–873–5-133 and n. 6-1035-5-126, examines several challenging questions related to both the supply and the demand side of the renewable industry: from how to stimulate technology innovation and promote competition, to how to sustain end-user demand. For instance, one important question that concerns both entrepreneurs and policy makers is whether or not renewable energies should be supported through public subsidies and, if yes, what are the most appropriate instruments to deploy such support. Our research shows that economic growth remains a major catalyst of technological innovation. Thus, for RE diffusion to increase, government action should be directed not only at shielding renewables from competition with fossil fuel technologies but also at stimulating aggregated demand and economic growth. However, our work also shows that incentives aimed at stimulating demand, such as the Feed-in-Tariff schemes widely popular in Europe, lead investors to pick mature RE technologies at the expenses of radical innovations. Thus, only a balanced combination of technology-push policies (aimed at stimulating fundamental R&D) and demand-pull measures (aimed at creating competitive niche markets in the short term) can help renewables play a major role in future energy scenarios. Our research also show that strategic need for renewable electricity in a portfolio of electricity generating technologies calls for an increase in the degree of competition in the technology provider market. Thus, recent RE investments made by several players to develop renewable manufacturing capacity in the region should be welcomed by the RE industry. By stimulating competition, such initiatives are likely to further decrease technology cost, thereby making the RE industry stronger and more competitive at a global level. Promoting renewable offers one additional advantage related to the transportation sector, which is currently dominated by fossil fuels. Increasing the percentage of renewables in a country’s electricity mix would make electric vehicles (EV) an even more appealing solution. EVs are indeed emerging as one of the most promising solutions to foster sustainability in the transportation sector. They are based on a reliable technology that is way more efficient and better suited for transportation purposes than the internal combustion engine (ICE). And they present clear environmental advantages both at the global and the local level, particularly if the electricity generation mix contains a large percentage of renewable technologies. However, numerous technical, organizational and social challenges question the viability of the electric vehicle as a short-term alternative to the ICE. High total cost of ownership, long recharging times, changes in the industry dynamics as well as the stability problems that a massive penetration of EVs may cause to the electric grid, are all potential barriers to adoption. The diffusion of the EV as a large-scale sustainable mobility option and a massive increase in the percentage of renewables in the electricity mix require the redesign of an entire industrial ecosystem. Policy makers and business leaders have a fundamental role to play in this process. By shaping the competitive, organizational and social environments, they have the ability to facilitate or hamper investments and to orient the choices of industry players. Our research suggests avenues for optimizing such a process. It also indicates that newly developed and fast-growing cities like Doha or Dubai have an incredible opportunity to lead the way towards the integration of EVs into smart grids, because in such cities, a fully dedicated infrastructure can be designed ex-novo and optimized to suit electric mobility needs. 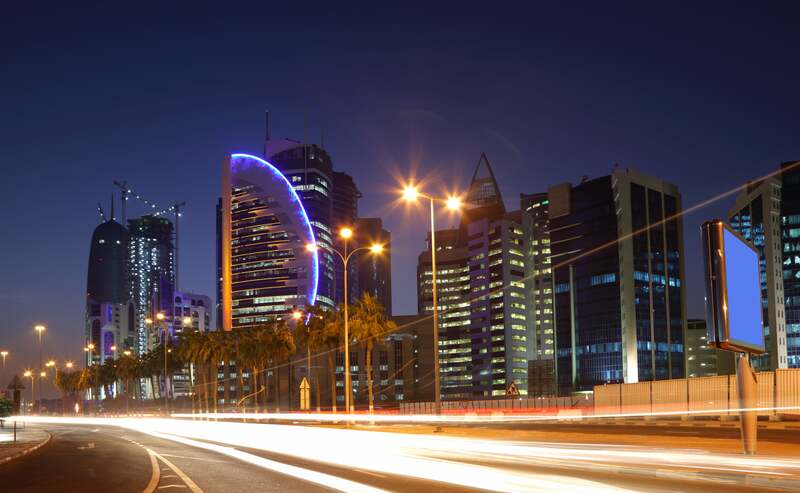 With their rapid development, GCC countries have the opportunity to be at the forefront of this transformation. On one hand, the geography of the region and the rapid development of its urban settlements make its cities a fertile ground for promoting the integration of renewable and EVs into sophisticated smart grids. On the other hand, with investments estimated at several hundreds of billions of dollars within the next few years, the industry offers appealing opportunities to local investors. These recent developments offer a number of appealing opportunities to local entrepreneurs, in a variety of sectors. First and foremost, renewable energy firms and technology manufacturers worldwide offer profitable investment opportunities for both venture capitalists and institutional investors alike. Venture capitalists and business angels will most likely prefer to aim for black swans and radical innovations. 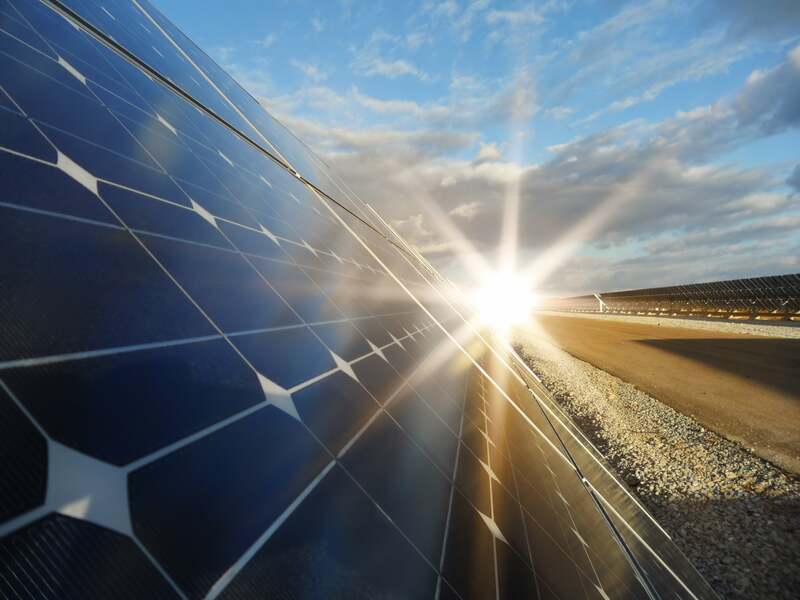 Institutional investors will want to direct their resources towards more traditional technologies such as crystalline silicon manufacturers. Second, similar to what was observed in countries like Germany, this ongoing energy revolution will see the emergence of new services, new competitors, and new business models at the local level. Most of the activities associated with decentralized energy systems are IT-intensive and service-oriented. Therefore they will imply a dramatic reduction in the traditionally high entry barriers for the industry and will open the door to a variety of new players: tomorrow’s energy companies will resemble more to Google than to EDF. The energy ecosystem of tomorrow will be composed of small independent producers; it will thus require smart grid operators capable of connecting in a seamlessly manner users and producers and of integrating EV fleets into the electricity network. It will also need energy service companies capable of providing specialized energy efficiency and integration services to business and households. All these niches offer entry points into the industry and represent options for entrepreneurs. GCC countries are certainly are a fertile ground for such a transformation, and they are well positioned to profit from the opportunities it will create.